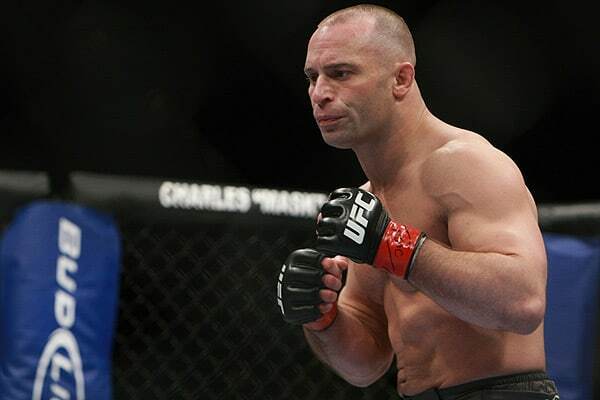 Matt Serra scored one of the biggest upsets in MMA history over Georges St. Pierre at UFC 69. Serra earned a shot at GSP’s welterweight title by winning the fourth season of The Ultimate Fighter. He knocked GSP off balance with a right and never let up, pounding away to win the title by TKO at the 3:25 mark. “Tonight I got beat by a better fighter than myself,” St. Pierre said. In the co-main event, Josh Koscheck ruined the 17-0 record of Diego Sanchez with a unanimous decision. Koscheck avenged his loss to the Sanchez in the semifinals of the first TUF season, which Sanchez went on to win. Roger Huerta improved to 3-0 in the UFC lightweight division, beating Leonard Garcia by unanimous decision. Yushin Okami won his fourth fight in a row, defeating Mike Swick by unanimous decision. In the PPV opener, TUF 3 winner Kendall Grove used a D’Arce choke to earn a technical submission over Alan Belcher in Round 2. PRIDE veteran Heath Herring scored his first UFC win by unanimous decision over Brad Imes in a heavyweight bout on the pre-show. Other preliminary results included Thales Leites over Pete Sell by unanimous decision; “The Irish Hand Grenade” Marcus Davis over Pete Spratt by submission to an ankle lock in Round 2; and Luke Cummo over Josh Haynes by TKO in Round 2.